Today, transforming a conventional business into a digital one is essential to increase revenue and productivity. Integrating heterogeneous systems and building an ecosystem with those integrated components is a fundamental requirement for this. Most modern systems support integration with other systems through APIs that are exposed over well-known protocols and standards. However, it is hard to expect all existing systems of an organization to be capable of integrating with other systems. Certain legacy systems will only be replaced a few years down the line. Therefore, the challenge is to drive all these existing systems towards brownfield integration. In this session, Isuru will discuss how you can use the lean, enterprise-ready, high performing WSO2 integration platform to solve integration and innovation challenges that organizations face when carrying out brownfield integration. Isuru is a key member of the WSO2 Enterprise Integrator team. He began his career as an intern at WSO2 in 2010. From completing this internship onwards up to holding the senior technical lead position at present, he has been part of the WSO2 team for nearly 7 years. While providing technical leadership to the enterprise integrator team, he has participated and led several customer engagements such as Quick Start programs and architecture reviews. 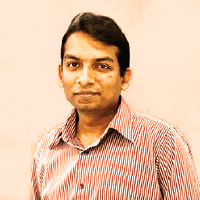 Isuru is a committer and holds the Vice President position of the Apache Synapse open source ESB project. He is also a founding member of the Siddhi Complex Event Processing Engine, which is now shipped with the WSO2 Stream Processor.